As summer heats up, take a trip to Italy without leaving town. 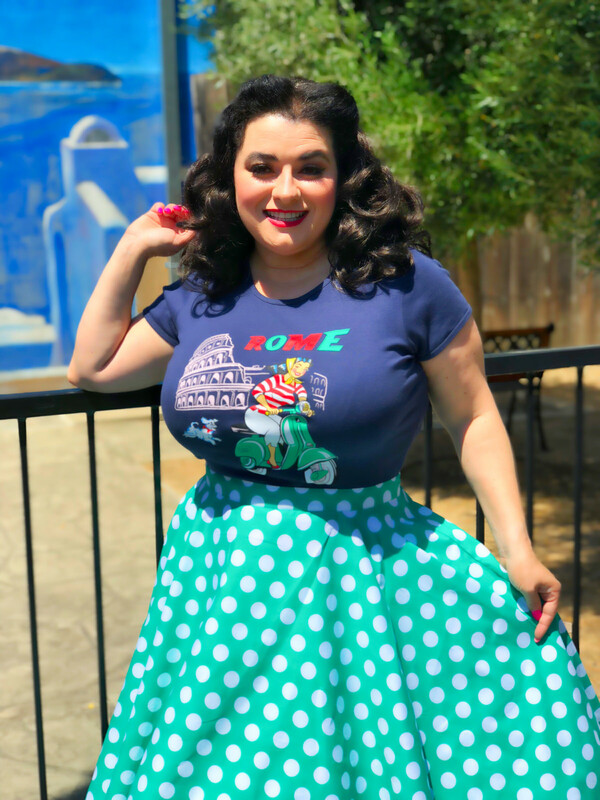 The Crazy4Me Style newest design is here La Dolce Vita Rome Italy Bellissima Girl t-shirt will have you living your own version of Roman Holiday. 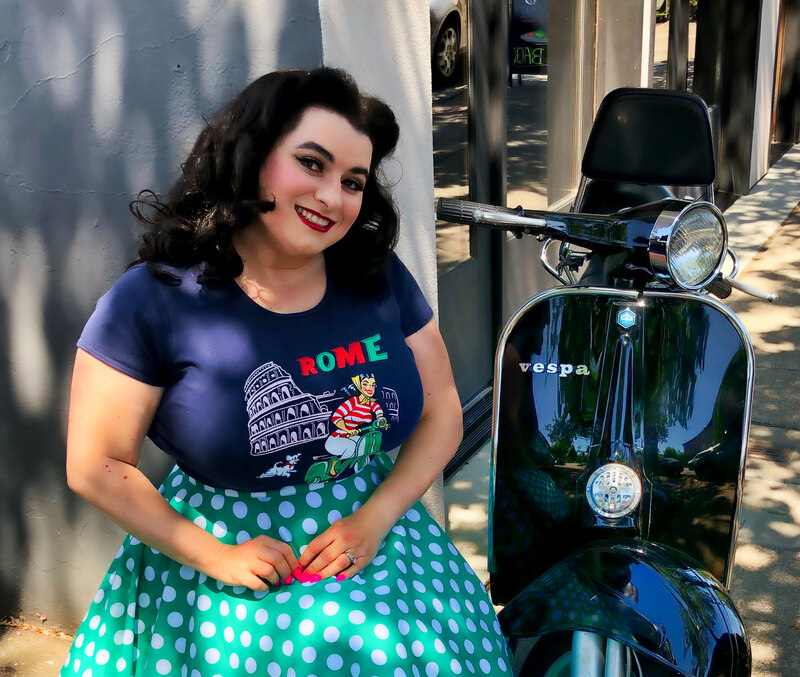 Tee is full of vintage style with a beautiful girl riding her retro Vespa in striking racing green color and the Colosseum in the background adds so much historical charm, ROME is spelled out in vibrant colors. 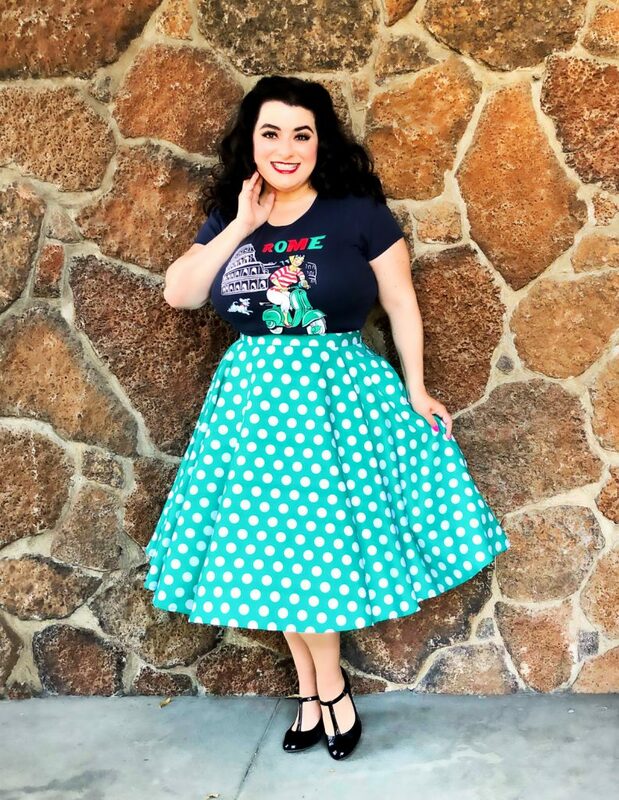 This design is created exclusively for us from custom artwork that has plenty of retro flair complete with a cute puppy dog too. 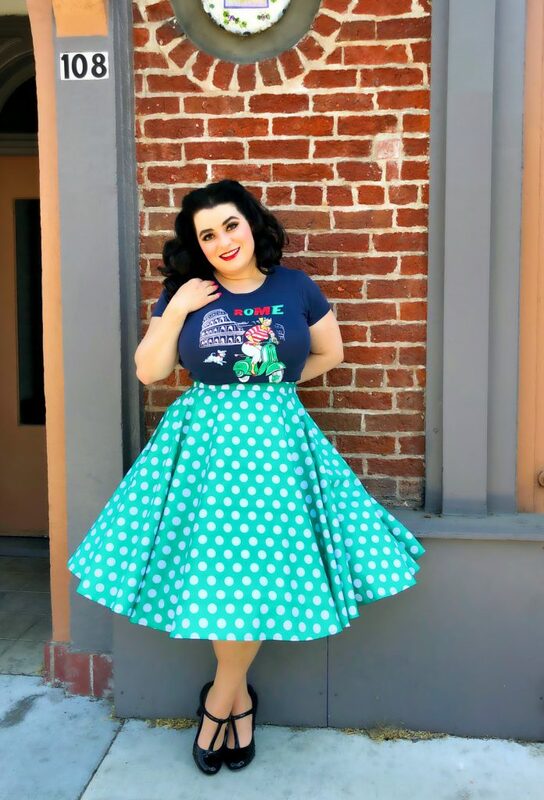 Design is screen printed so it will not fade.